Here's another look at sweet BONNIE! She needs help now! She has been at a high kill shelter that is just used to euthanizing everyone that comes through the doors. 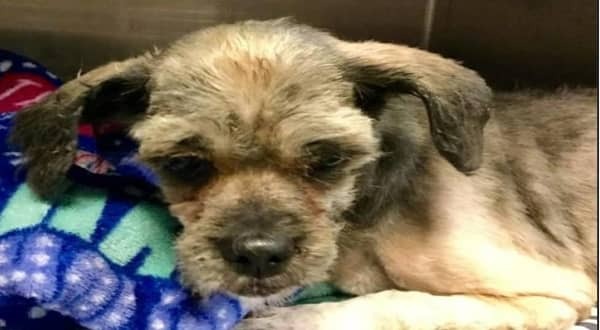 Can no longer be kept in the shelter given current medical condition. Needs a rescue commitment immediately. Little senior has waited 13 days for nobody to come? I am a spayed female, brown and black Lhasa Apso mix. I have been at the shelter since Jun 09, 2018. My stray holding period ended on 06/22/2018 and I am now available for adoption. 2 Responses to "Little blind senior has waited for nobody to come, In line to be killed..no interests and not reserved"